Those survivors that Aaron and the others welcomed into their camp will probably be totally normal, right? And the Whisperers are super dead, so that can't be a problem. Wait, don't the dead walk in this universe? Escape from Apokolips begins here! Harley's being re-educated on Apokolips after turning on the Furies. 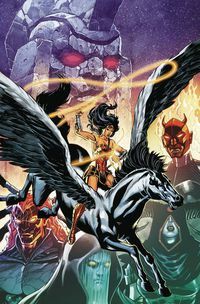 Can our hero break her bonds and escape the super max prison of Darkseid? This Mirror Universe mini comes to a close! The underground half of the team finally breaks the surface, while the board gaming group is hostage to unbroken tension! 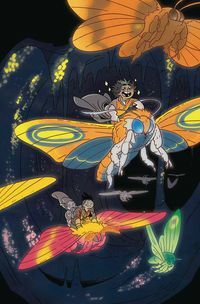 Aphra's exes meet in a junkyard filled with monsters! Can Aphra save her exes without sacrificing herself? Can the OG five stop Magneto's descent into villainy? Solicits for October say no! 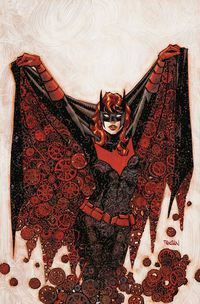 Steve Orlando pens a story of transformation for Diana, and then James Tynion IV gives her a team of misfit magicians! John decides to die so that he can save his ex. What's Loki up to now? Deadpool continues to clean-up the mean streets of Marvel! Renee Montoya returns to Kate's life! My OTP is paired up once again! Harley has to fight for Petite Tina! Can she take down the Female Furies? Frank and Sadie Doyle are back! Will the queer friends make a cameo? 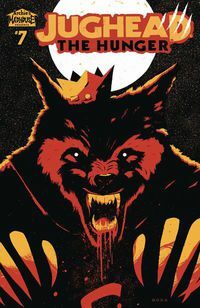 The Coopers are calling in the big guns and going for Jellybean and Jughead! Can our hairy heroes survive? Women are missing, and the gang needs to solve the mystery fast! New realities for Diana, no reality for Betty, a return to Iceman's most classic conflict... SuperQueeros: all that's lesbian, gay, bisexual, transgender, and queer in comics today! 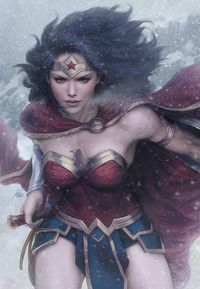 Diana's role in the new pantheon comes to light, as does Jason's purpose! Betty is the only Queen left! Can she conquer time and space to save her party? The team have a heist to do! But can even the most eldritch mutants steal from the sanctum of Dr. Strange? Iceman and the rest of the team take on Magneto to protect the White Queen! The team faces the Time-Eater! Who survives, and who dies!? 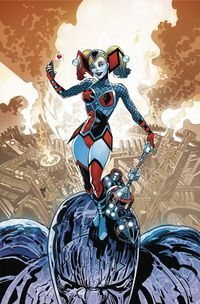 Harley and the Squad team up with Batman to save Deadshot's daughter! Jughead and the gang are held hostage by Mr. Blossom! Can they escape, and will Riverdale be upended again? It's Independence Day in the United States, and Catwoman is taking that very literally! SuperQueeros: all that's lesbian, gay, bisexual, transgender, and queer in comics today! DC editorial famously canceled Batwoman's wedding to Maggie Sawyer because superheroes shouldn't be happy. 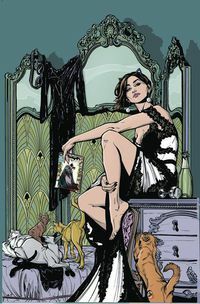 That ethos is front and center this week as Bruce and Selina nearly tie the knot and instead jump start Catwoman's new solo series! This time, though, DC at least gives us the spectacle of the wedding, so have a squiz! Harley joins the Female Furies! But does Harley have a hammer big enough to smite Fury-deserter Petite Tina? 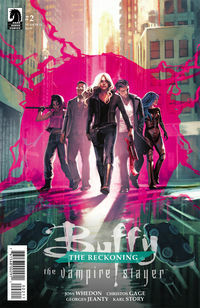 And is she enough of a joiner to quit the Furies in the most epic way possible? Enter the Spark-Eaters! Long ago, the crew fought a spark-eating monster. 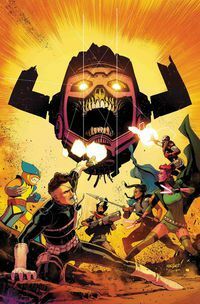 Hopefully that prepared them for the army of spark-eaters in this issue! Diana must find a way defeat the Ultraviolet Lantern on her doorstep: John Stewart!